More than 23 million adult Americans have diabetes. More than two-thirds of American adults with type 2 diabetes are significantly overweight or obese. The majority of overweight people have tried unsuccessfully to lose weight one or more times, only to regain it within months. They know that losing weight can improve their health; they just need to know how to make it happen and how to keep those pounds off. 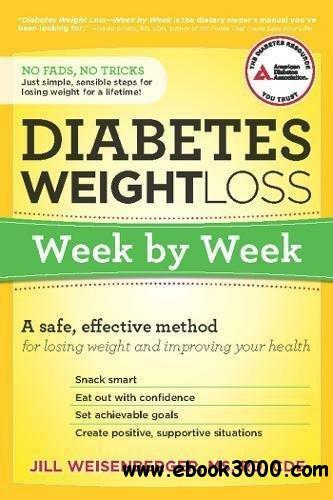 Diabetes Weight Loss-Week by Week guides people with diabetes through the steps toward lasting weight loss, better health, and possibly improved blood glucose control. With a week-by-week approach and emphasis on incremental changes, readers gain the knowledge, skills, and confidence required for permanent weight loss and lifestyle change. Readers also learn from the triumphs of others by reading their brief stories, and the included recipes show how to bring healthy meals into the house.